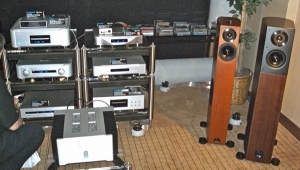 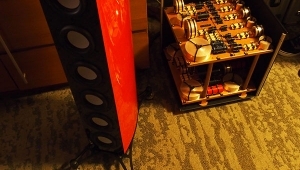 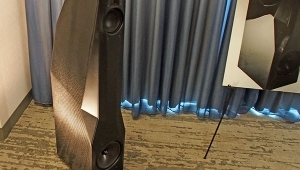 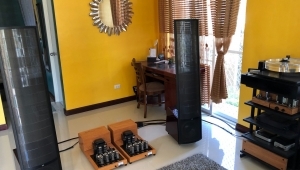 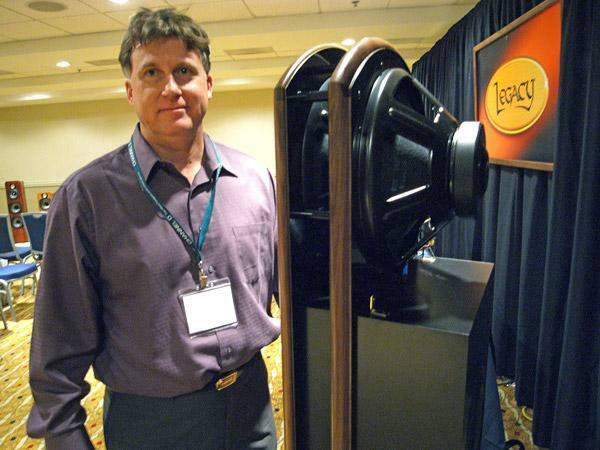 Legacy's large Whisper speakers ($20,900/pair with digital-domain crossover and four channels of ICE-Power amplification for the woofers) had been one of my best sounds of the 2010 Axpona in Florida. 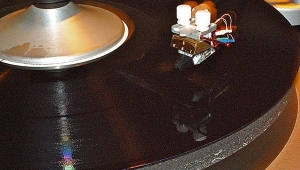 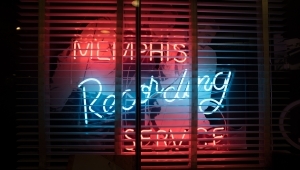 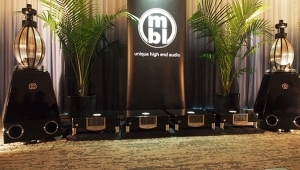 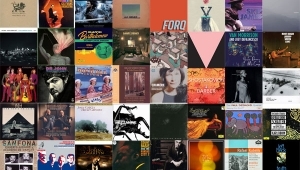 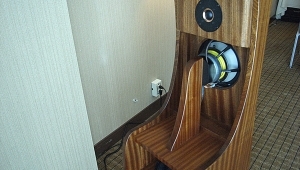 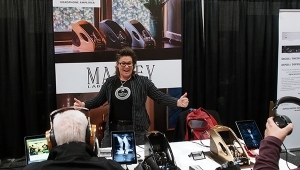 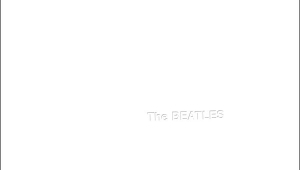 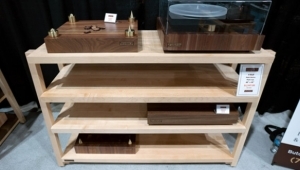 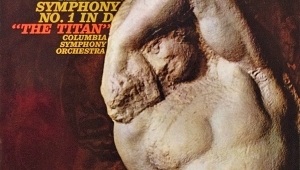 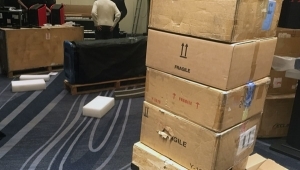 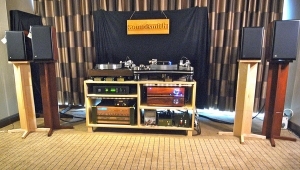 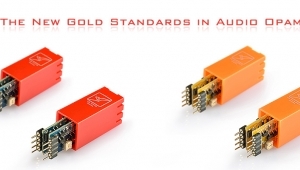 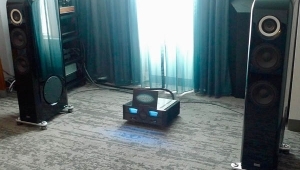 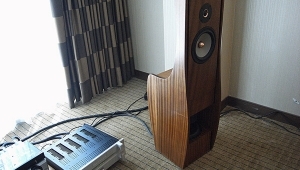 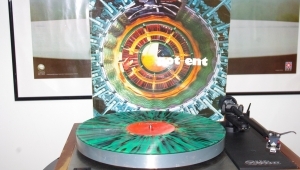 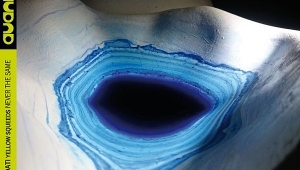 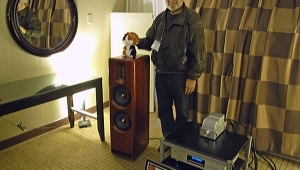 However, the Whisper hadn't sounded as good as I was anticipating at this year's Montreal Show, where they were being demmed in too small a room and loading up the room with low frequencies as a result, even with room correction applied and the speaker's unique woofer alignment. 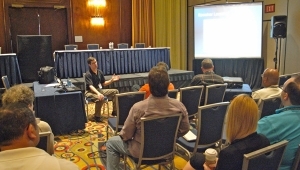 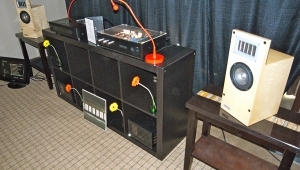 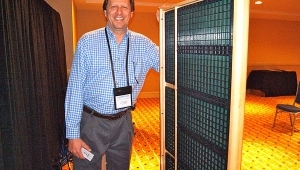 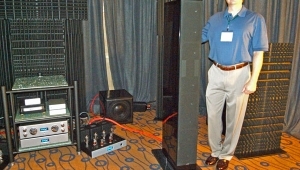 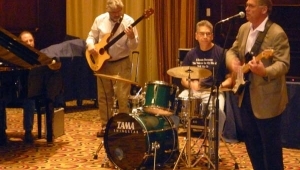 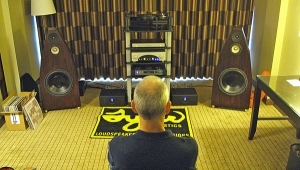 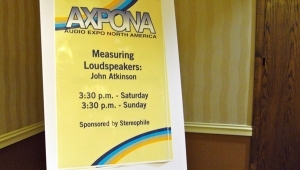 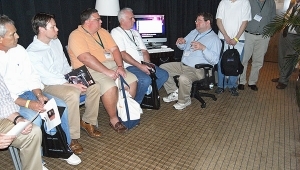 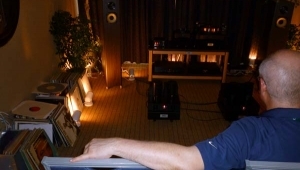 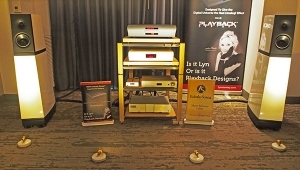 At the 2011 Axpona, the Whisper, seen here with designer Bill Dudleston who is showing off one of the speaker's dual-woofer cardioid bass sections, the company had the opposite problem, witht he speakers being demmed in an enormous, live-sounding room. 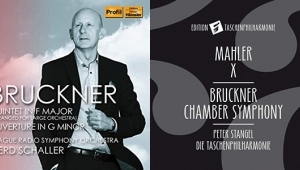 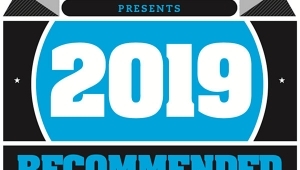 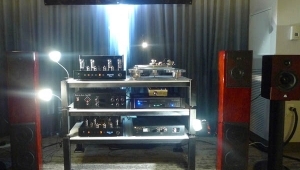 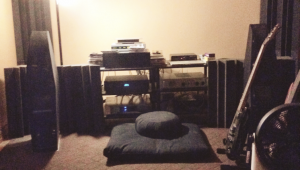 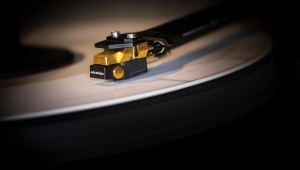 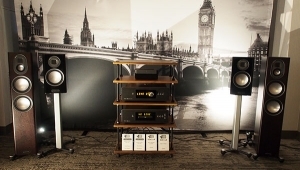 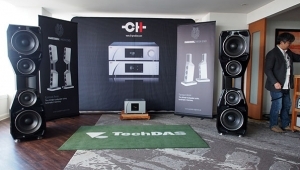 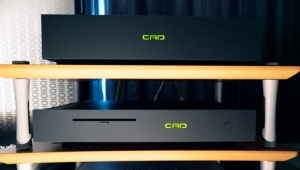 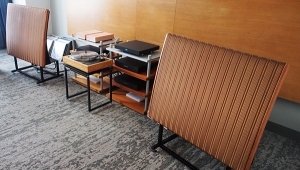 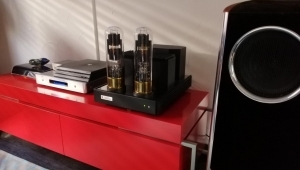 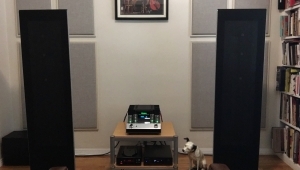 Even so, driven by Coda CX amplifiers, a Coda CL preamplifier, and an Ayon tubed CD player, the Whispers almost managed to fill that room with high-quality sound.